The Scott Aerator website utilizes scripts to provide you with a full-featured shopping experience. It appears that your computer or device has scripts deactivated, making our website unusable to you. Please turn scripts on or utilize a device that supports scripts to proceed. Or please give us a call and we'd be happy to help you, 1-800-928-3745. Thank you! 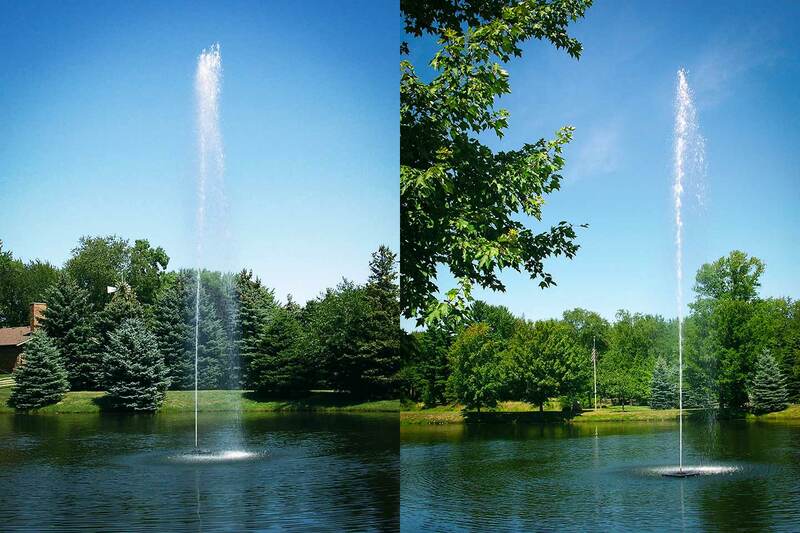 The Amherst Fountain - NEW! Contact us regarding guarantee details. 230-volt, 1½ HP, oil-free motor. 90 gallons of water per minute. Center stream is up to 50 feet high. Electric cable provided is 100 feet long, 12-gauge submersible. Approved for salt water use. Two 20-pound weights or concrete blocks (not included) required for anchoring. 42" minimum pond depth required. Motor specs: 60 Hz, single phase, 10.6 amps, 1780 watts. Want a water display above all others? Our 1½-hp Jet Stream Fountain achieves a tight, columnar, vertical spray up to 50 feet! 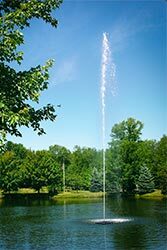 The single, stunning flume produced by the Jet Stream adds an eye-catching, ear-pleasing focal point to your lake or pond. Enhance it even more with nighttime lighting options. 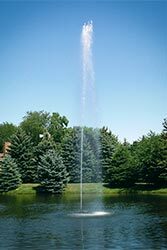 Like all of the products Scott Aerator manufactures, the Jet Stream utilizes a stainless steel, oil-free submersible motor, making it the most environmentally friendly style of fountain on the market. The Jet Stream is proudly manufactured in the USA and carries an unconditional, 5-year motor warranty. 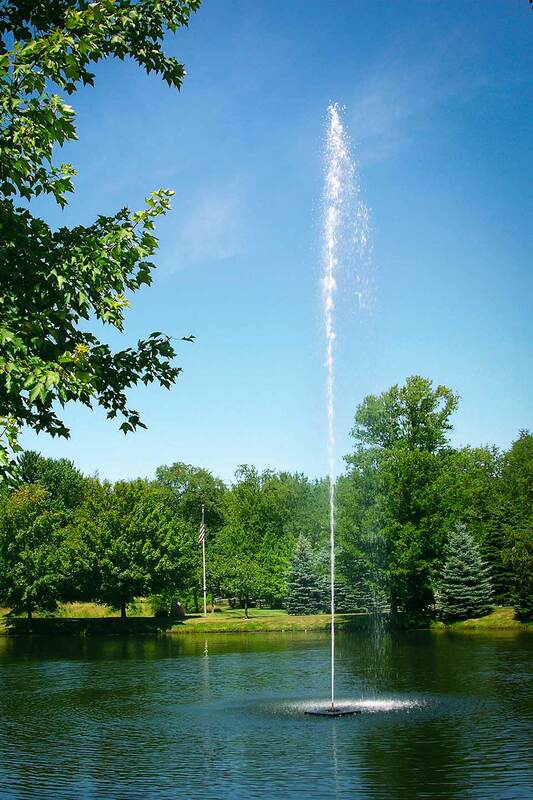 The fountain comes with 100 feet of submersible, 12-gauge cable. Greater cable lengths are also available. 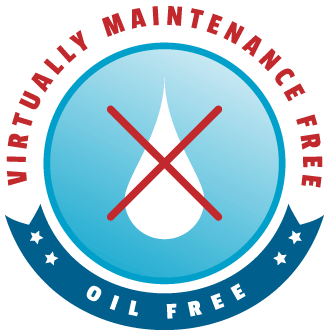 All of our fountains, aerators, de-icers, muck-movers and sub-surface aerators are oil-free and require almost no maintenance.